During ones of my sessions last week, I told my trainer that I was fairly certain I hate push-ups more than I hate planks. Although I may hate them about the same amount. But let's be honest, they are both terrible exercises that are exceptionally effective. In January I did a 30 Day Plank Challenge with some success. 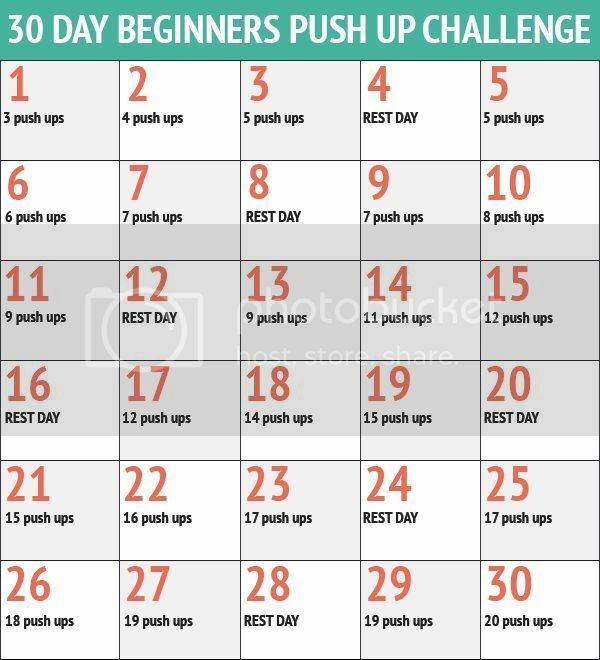 So, for February I'm doing a 30 day pushup challenge! Which is weird since there are only 28 days in February. But that is what modifications are for! The goal is to be able to do 20 push-ups in 30 days, but I'm going to do it in 28 which shouldn't be too hard. According to the "schedule", day 28 is a rest day so I'll just have to do 20 push-ups on that day. Easy peasy. Maybe. Hopefully. Oh I have no idea what I am getting myself into, do I?! My participation in the January Yoga Project kind of crashed and burned right away. Trying to adjust to a new training schedule along with winter (i.e. wicked short days and long nights) didn't work out too well. But, I'm going to give it another go! This month Candace, over at Yoga by Candace is hosting a 28 Day Heart Opening Yoga Project. The project will focus on flexibility in the upper body (none of which I have) & hips (both of which are wicked tight) and backbends. Because I work in an office and am at a desk for far too many hours in a day AND I tend to carry a lot of stress and tension in my shoulders, I'm hopeful (ever hopeful) that this will help. I've not yet decided on a pose but I'm leaning towards Wheel Pose.